Step-On Trash Receptacle 4 gal. Versatility is the name of the game for this round step-on trash can from Witt Industries. While its unique features make it ideal for science labs and medical offices, the attractive design fits beautifully in any classroom or business setting. 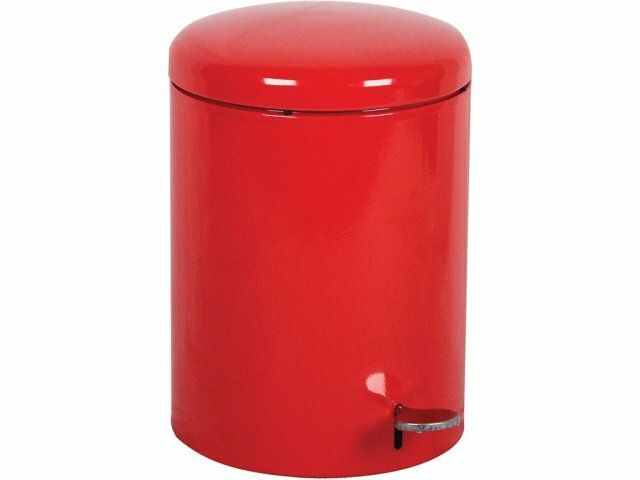 These trash receptacles feature safe, completely hands-free operation and are fully compliant with the OSHA Standard for Blood-borne Pathogens, making them a perfect solution for science labs and medical clinics that require sanitary disposal of bio-hazardous materials. Yet these trash cans have a polished, professional look to them that's perfect for any professional atmosphere. They are also firesafe - an important feature for businesses and facilities with smoking zones - and are made of highly durable heavy-gauge steel. Galvanized steel liners protect the trash can interior from stains and grime and allow for extra-easy servicing. Whether you're a science teacher or a CEO, these trash receptacles are a clean, safe, aesthetic solution for any science lab, classroom or professional environment. 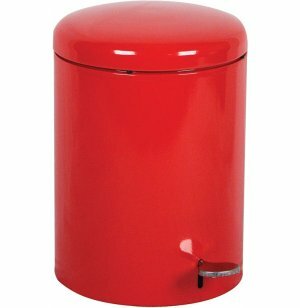 Highly Durable: Made of heavy-gauge steel, this trash can is built to withstand the wear and tear of constant daily use. Great Versatility: Unique features and professional design allow these receptacles to be used in a wide variety of locations. Hands-Free Operation: Step-on pedal ensures completely hands-free operation - no need whatsoever to touch the trash can exterior - is both convenient and ideal for facilities like science labs or clinics, where students and staff may be handling bio-hazardous materials. OSHA Compliant: Fully compliant with OSHA Standard for Bloodborne Pathogens. Extra-Safety: Totally firesafe - no need to worry about smoldering cigars or cigarettes. Easy Servicing: Galvanized steel liners protect trash can interior and make servicing extra easy.